Wireless in-ear headphones are something we wish we had sooner. I mean, where have they been all my life? Jogging and working out with wired earphones have always been a struggle, which I’ve grown accustomed to primarily because I’m left with pretty much no choice. And thank heavens for wireless in-ear headphones! The day I’ve tried in-ear headphones in my workouts, not in a million years will I use wired earphones in sports and fitness activities ever again! Check out my TOZO T8 Headphones Review below! The TOZO T8 comes with a compact and elegant-looking charging case, which makes it really easy to bring and fit perfectly even in pockets and small bags. The material of the charging case is plastic, but the design and overall packaging still manage to look very sleek and modern. As you open the charging case, you’ll see two earbuds perfectly “plugged in” into the built-in charger. The case charges your earbuds automatically, and you’ll know that your headphones are fully-charged once the red light has turned off. TOZO T8 has an Ergonomic design that is built for anyone’s active lifestyle. The package comes with three sets of silicone caps with various ear sizes to make certain that everyone will feel comfortable using the earbuds, especially during workouts and other strenuous activities. Whether you are into jogging, cycling, or even yoga, the TOZO T8 fits perfectly and comfortably that you won’t even notice that it’s there. At first, I was worried about the earbuds slipping off in more vigorous workouts, but to my surprise, the adjustable hooks made them very secured. Of course, it’s also ideal to use them besides sports and fitness. Since the design is very minimal and stylish, you can wear it in any occasions – be it casual or even in business setups. The earbuds will turn on automatically once you’ve plugged them out of the charging case. Both earbuds will then automatically pair as well. The TOZO T8 provides good sound quality – clear, balanced, and not at all scattered. Perfect sound quality was not actually a priority of mine, knowing that I plan to use them mostly for physical activities. But I was really grateful that it actually has a good sound quality (yay, bonus!) because I have then used it as well in doing house chores, commuting, and everytime I relax! Their sound isolation feature made the experience even better. I was a bit skeptical about the pairing at first. I assumed that pairing would be a bit more difficult for wireless, in-ear headphones, but TOZO T8 made pairing a breeze. Pairing the two earbuds is super easy and pairing the headphones to your gadget or device is uncomplicated as well. I did not have any issues following the instructions they provide as they were clear and straightforward. 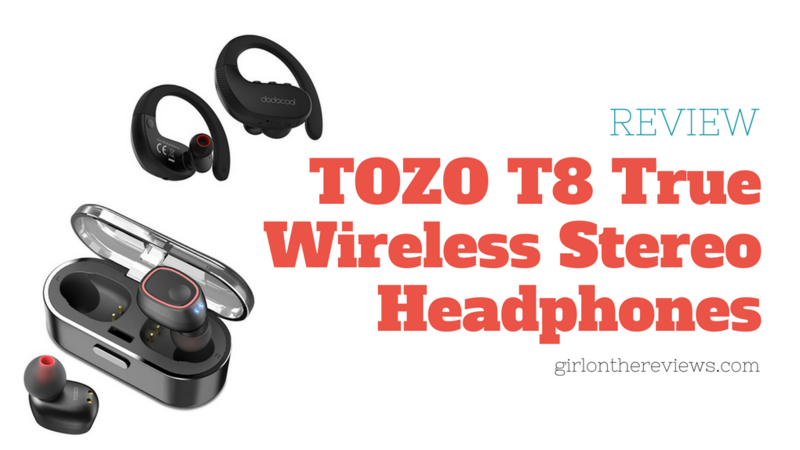 Honestly, at the time of writing this TOZO T8 Headphones Review, I can’t say that it’s the best and there are still a couple of areas for improvement, but I would still recommend it especially for sports and fitness enthusiasts. 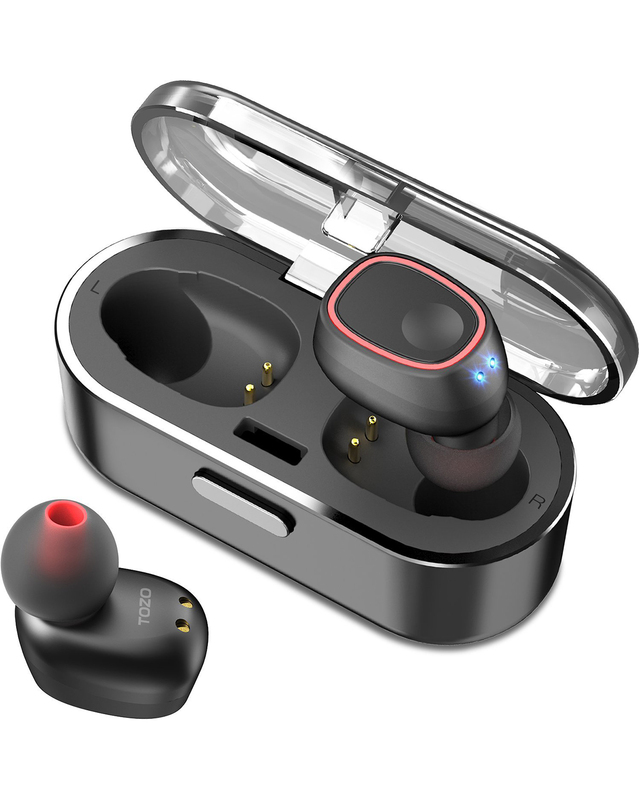 The compact design and the comfortable fit of the earbuds are what made the TOZO T8 special, and I really commend the makers for that – hands down! The sound quality is good, but it can still further improve. What are the usage time, charging time, and battery life of the TOZO T8? Why does the sound from earbuds intermittently lose signal? The environment interference or far distance between headset and mobile may cause the loss in connection and the noise. Trying moving closer to your mobile to ensure uninterrupted connection. Good: Seriously, it is the perfect partner for workouts! The idea of in-ear headphones is one thing, but having it comfortably fit and secured even in strenuous movements is another. The packaging and the design are impressive, and the headphones are, without doubt, super easy to bring and carry anytime, anywhere. Not so good: The sound is good, but it’s not yet perfect. The connection sometimes can be an issue, so I’m hoping that the next editions will have stronger, flawless, wider-range pairing and connection! Thank you for taking the time to read my TOZO T8 Headphones Review! I’d love to hear your thoughts!